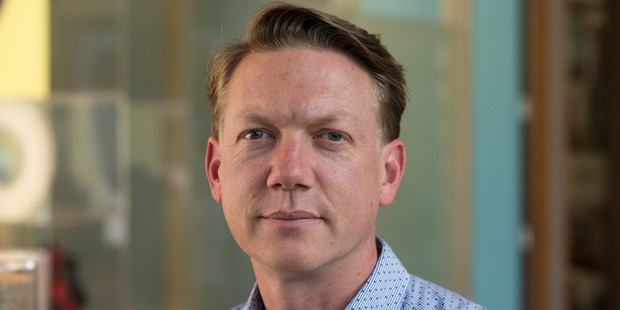 New Zealand's farming model will have to change as lab-grown meat gobbles up the low-cost market, and Landcorp can lead the way, says chief executive Steven Carden. Carden, who heads up the country's biggest farming company, says the old model - producing bulk commodities at low prices - has served the country well for the last century or so. "We see headwinds coming around the traditional protein farming model, [that's] meat and milk," he says. "My job, given that we have got a million acres of land, and that it takes a long time to shift from one land use to another, is very much anticipating where consumer preferences will be in the future, and to make sure that we have the land portfolio that caters to that." New Zealand's way has very much been about producing a lot of milk and meat "and hoping that someone is going to want to buy it". "With the challenge that we have around alternative meat production sources now, we can't be that naive to think that that path is sustainable any more," says Carden. The advent of synthetic meat is already troubling the heavily-subsidised US agriculture sector, seemingly with good reason. Impossible Foods, a Silicon Valley start-up that has Microsoft founder Bill Gates on its share register, has developed a meat-free burger. The "Impossible Burger", according to the company's website, uses 95 per cent less land, 74 per cent less water, and creates 87 per cent less greenhouse gas emissions than conventional meat production. "And it's 100 per cent free of hormones, antibiotics, and artificial ingredients," it says. Last month, Impossible Foods raised US$75 million in new funds, attracting influential investors such as Singapore's Temasek Holdings and Li Ka-Shing's Horizons Ventures. Carden says there are obvious competitive risks associated with the arrival of synthetic food, but there are opportunities in health and wellness for the conventional foods that have been New Zealand's forte. "New Zealand is not going to be able to compete, on the cost of production, with these guys who can produce lab-manufactured meat. "They are going to capture the low-cost calorie market," he says. "They will become a serious threat if we remain a low-cost commodity producer of calories and protein, which is why we are thinking about how we can shift into different spaces," he says. "What we need to do as a country and as a company is to go niche. Being a commodity producer, given the shifts that [are] occurring and the growth in synthetic protein, we are not going to be able to compete." In future, he says the challenge will lie in differentiating locally-grown product - beyond the selling point of just coming from New Zealand - and marketing it to the world's high-end restaurants. To that end, Landcorp has developed a herb-finished lamb with a different flavour which plays up the food's functional benefits. Landcorp is increasingly migrating to organic food production, and has started converting some of its dairy farms. In other departures from a well-worn path, the state-owned enterprise is involved in a sheep milking joint venture, which Carden says has a big future in the probiotics/pharmaceuticals area. It has a deer milking business in a development phase, with an eye on the skincare market. In the years ahead, Carden expects the Landcorp name to be more closely associated with the food it produces, under its Pamu brand. It will mean a wider variety of products will be grown and there will be more diversity of land use, he says. Carden, with a background at New York consultants McKinsey & Co, says that as the country's biggest farmer, there was always going to be resistance. "Over recent years we've had very good ongoing conversations with the shareholders [the government] about their expectations for dividends and how the Pamu strategy will increase those dividends significantly over time," he says. "The best way we can maximise the return on investment is to increase the value of what we produce and move as much as we can into the products that consumers see as premium." "Landcorp has been about clearing for farms and converting land to pastoral farming and doing everything we can to drive intensification - more cows, more sheep, more milk, more meat, more wool off every hectare of land, which has been dramatically successful, from a financial point of view, over the last 30 years," he says. "There is a very strong sense, in our business and I think in our society, that this approach to intensification - which is all about stressing assets - has reached a tipping point and we can't continue with that method any more." Farm intensification in New Zealand and around the world in the 1950s and 60s - driven by fertiliser use - has resulted in big increases in productivity but also methane and CO2 emissions. With the world's population predicted to hit 9.5-10 billion by 2050, Carden says the way the world feeds itself will have to change. That means 60 per cent more food will need to be produced with less land, water, fuel and pesticides. 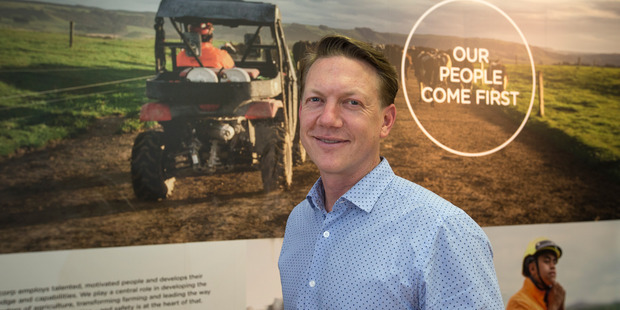 The changing face of Landcorp became evident last year when it announced the phasing out of palm kernel expeller (PKE) in favour of alternative feed supplements. Then there was the move to scale back its plans to convert former forestry land to dairy. Earlier, Landcorp decided not to renew its sharemilking contract with Shanghai Pengxin next year, saying it wanted to focus on other areas of growth. Landcorp, formerly the Lands and Survey Department, has played a leading role in breaking in new farms from the end of WWI through to the 1980s, when it assumed a more commercial focus. Carden says the next wave of change will involve greater diversity of land use and greater focus on connecting with consumers. "How you feed people will cause a massive revolution in how food is produced globally." At the same time, a high-fat, high-sugar environment is causing health issues, particularly an obesity epidemic, so there will be an increased focus on what people eat. Then there are the environmental constraints. "Simply fencing off waterways is a very small part of quite a substantial problem that we are facing," he says. Looking ahead, Carden says food producers will need to be more environmentally responsible than they have been in the past. Aside from that, Landcorp, over the past two-and-a-half years, has been reallocating land that was marginal from a pastoral perspective - about 10,000ha - and introduced a high-tech system to measure outputs. Carden sees a future with fewer cows, more crops, sustainable energy, greenhouses, horticulture and farming systems that will be net zero carbon emitters. He also sees more investment in new energy sources. More food will be grown locally, in urban environments and in buildings, not just in the countryside. Diets are already changing dramatically, particularly as people lean towards plant-based protein. "Plants are becoming a much bigger part of people's consumption and diets, and I suspect that's likely to grow and that meat consumption will decline," Carden says. "We are seeing the emergence of other food products that are essentially derived from plant sources. "There are plant alternatives now for what were once exclusively from animals." Ironically, Landcorp is planting manuka and kanuka - which previously had been cleared to make way for pasture - for the lucrative manuka honey industry. "I think that our future is very exciting but it will be threatened if we continue along a path as a low-cost commodity producer, which is what we have done historically." Asked about pushback over the changes being put in place, Carden says there will always be an element of that given the company's high visibility as the country's biggest farmer. "But I think people realise that we need answers and they see that there are problems emerging, and that our current trajectory is not one that we can sustain."